All you want to do is get it right. Drop it off in the past and start over. Let me be the one to make it right. I can take you to a level much higher. You will see a change in front of your eyes. 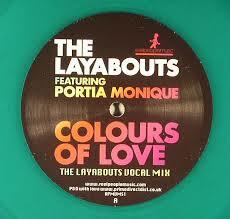 I will be the one to show you the colours, colours, colours of love. I will give you the key to my heart. Open it you’ll find a love undiscovered. Le me be frame to your art. I will be the one to show you the colours, colours, colours of love …. Yeah, you are the one, the one that I‘ ve prayed for. Your love is enough for me to relay on. Is this real?